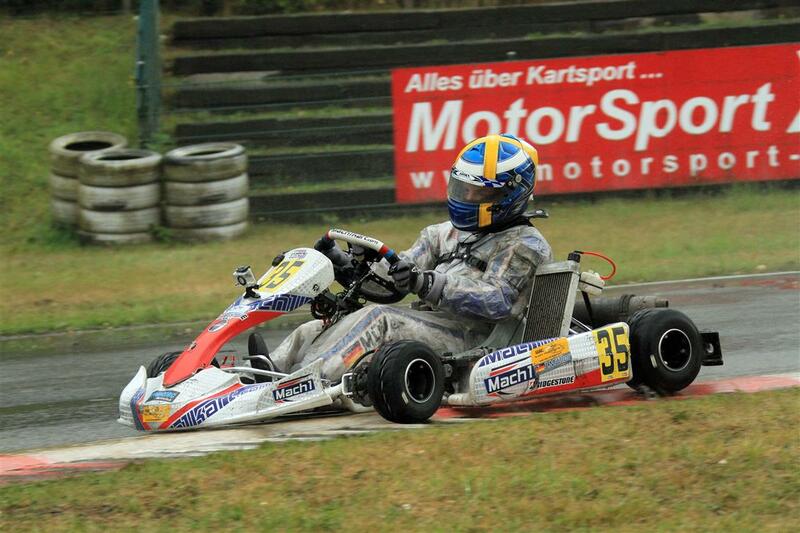 The German chassis manufacturer Mach1-Kart had imagined something different when it came to the fourth race of the ADAC Kart Masters in Kerpen. In addition to heavy rain and difficult track conditions, the drivers didn’t have a lot of luck as well. Alexander Heil is still leading the X30 seniors though. 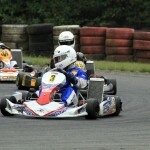 After Hahn, Oschersleben and Ampfing, the strongest German kart racing series stopped at the Erftlandring in Kerpen for its fourth ranked race. 209 participants found their ways to the 1.107m long track and didn’t experience easy races. Heavy rain temporarily made for difficult track conditions and the fields got mixed up. All eyes were on Alexander Heil at the X30 seniors. 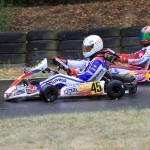 As the overall leader, he had the chance of winning the title prematurely in Kerpen. Everything looked really well for Heil after the heats. He qualified for the first final as the second driver and experienced an exciting race. Among a group of four, he fought fiercely for a place on the podium. 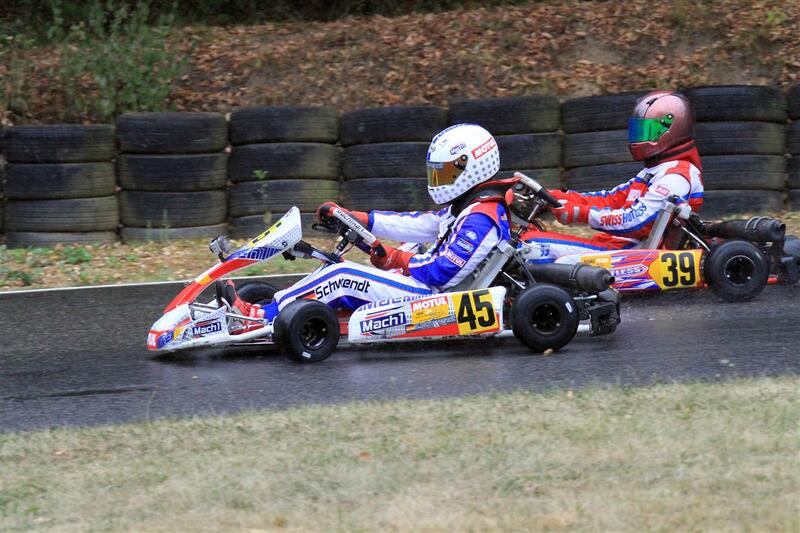 After 18 laps, he was on second place again and thereby postponed the decision to the second final. During this, Alexander temporarily took the lead, but had to deal with a major setback only a short while later. An opponent pushed him off the track, which damaged Alex’ chain and forced him to forfeit the race. “This is really annoying, because everything went well until the falling out. Things will get tough again now – I’ll have to fully attack in Wackersdorf,” said Alexander regarding the future. 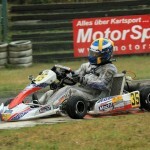 Jan Jesse, Tim Linden, Sebastian Schwendt and Lukas Korsch also started for Mach1 and the Factory Support Team DS Kartsport. The quartet had a hard time though and wasn’t able to score any points. In the end, the most successful driver was Sebastian Schwendt who came in on the 19th and 24th places. 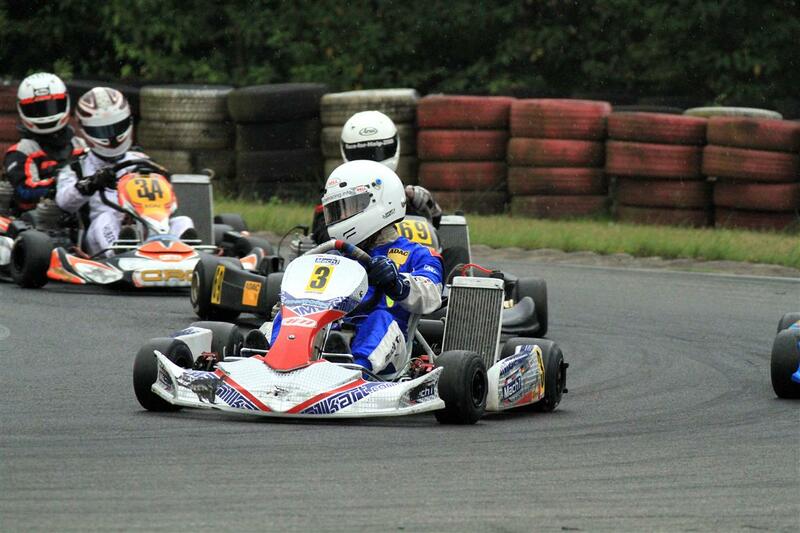 In four weeks, things will get serious at the ADAC Kart Masters. The finale of the racing series of the second biggest automobile club in the world will take place at the Prokart Raceland Wackersdorf.